Hobby, Model and RC FAQ Web Links Alan Tong's homepage. Maritime Education and Recreation Centre MERC.org.nz. 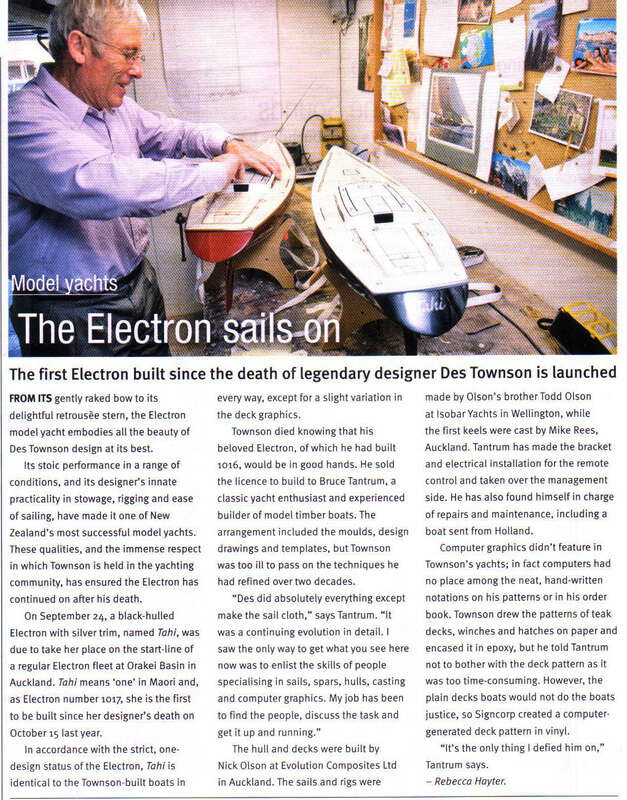 Article in Boating New Zealand Oct 2009. "The Electron sails on." 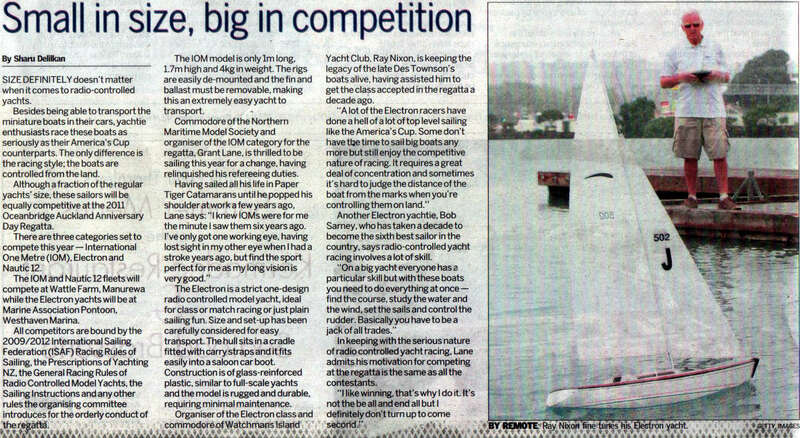 Article in NZ Herald. "RC Yachts in Anniversary Regatta."